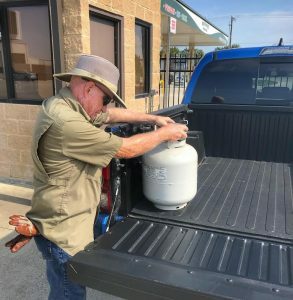 During grilling season its important to be safe while transporting and handling your cylinders. Here are some helpful tips for transporting and handling grill bottles! Opening the grill bottle too fast may cause the bottles excess flow valve to shut off or “check”, this may cause no gas flow to the appliance. To fix this issue, open the handle half a turn then close and repeat 2-3 times. For more information on grill bottles or safety, please contact us at 972-247-6121. A helpful team member will answer any questions you may have!